MARKETING IS THE ART of identifying customers and developing strategies to reach them. SALES IS THE TRANSFER of goods and/or services from one party to another in exchange for payment. 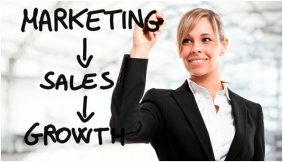 THE MARKETING DISCUSSION in your business plan explains how you will pique buyer interest in your products and/or services (price, quality, service, convenience, uniqueness). It will describe the advertising campaigns and venues for promotional materials including radio, TV, print media, websites, tradeshows, special events and word of mouth. THE SALES PLAN describes how sales are accomplished, e.g., sales people, telephone sales, website or mail orders, or some other method of taking orders, receiving payment and delivering your products and/or services.Demonstrating that your target market is vibrant, growing and offering opportunity is essential to winning investors or obtaining a loan. The Business Plan Store will make your marketing and sales presentation clear, concise and based on proof of concept.